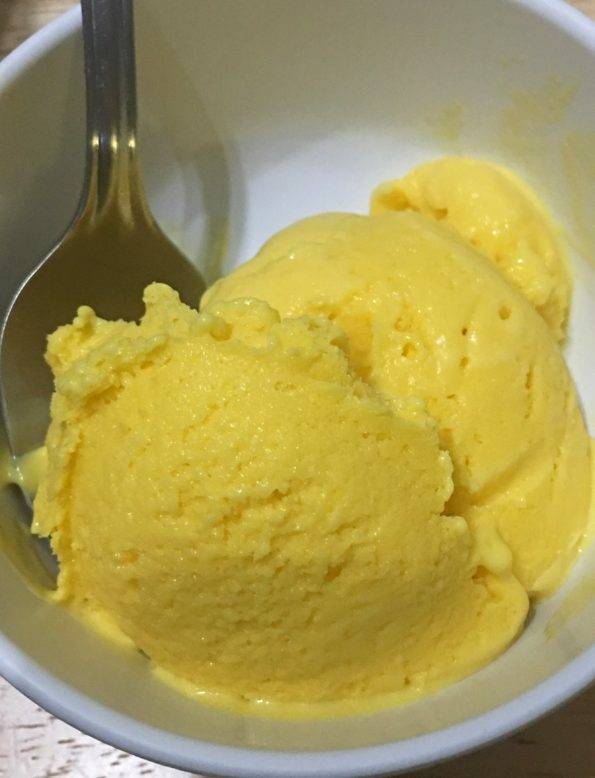 This homemade mango ice cream recipe without ice cream maker is also made without heavy cream, but I used cream cheese and condensed milk to make this yummy ice cream. This homemade mango ice cream using fresh mangoes is the best mango ice cream I ever had. 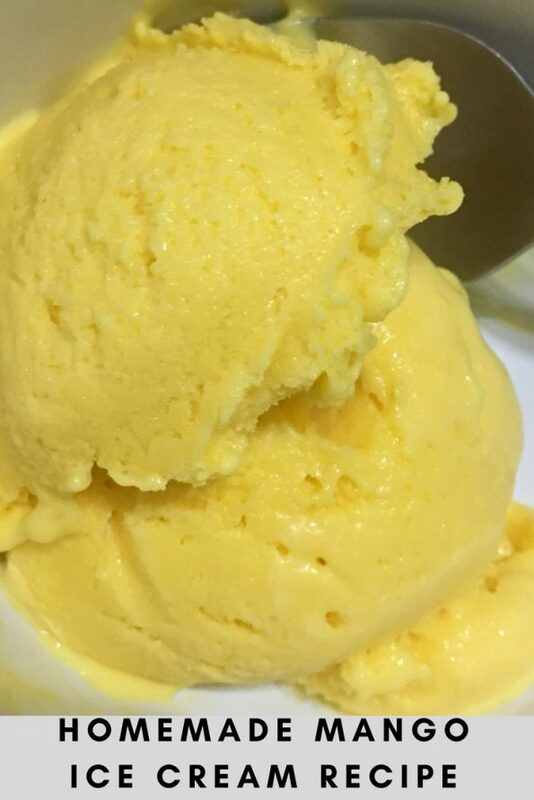 And the best thing is that you do not need an ice cream maker to make this fresh mango ice cream. We only use 4 ingredients to make this mango ice cram from scratch. This is the perfect, delicious mango ice cream recipe with very minimal ingredients. I had some fresh mangoes at home and I had an 8oz pack of philadelphia brick cream cheese in refrigerator which need to be used. I also had some condensed milk, so I thought I would mix them up to make a delicious ice cream. 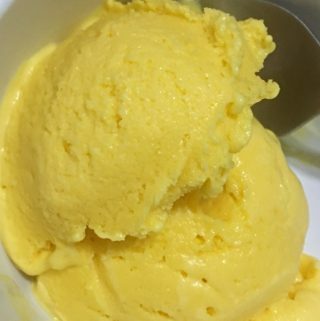 Although I thought of making mango cheesecake initially, I wanted to make something more easily without the need to cook or bake, and it is summer, so I decided to try a homemade ice cream, which turned out absolutely delicious. After all, the combination of mangoes, cream cheese and condensed milk can’t go wrong! Make sure to use fresh and sweet mangoes to make this ice cream, as sour mangoes may not give you the same results. The creaminess of the ice cream comes from the cream cheese and also the condensed milk, so make sure to use the same quantity for the best results, though you may adjust the amount of condensed milk slightly if you do not have the same amount of condensed milk at home. I used one pack of this sweetened condensed milk to make this delicious ice cream. 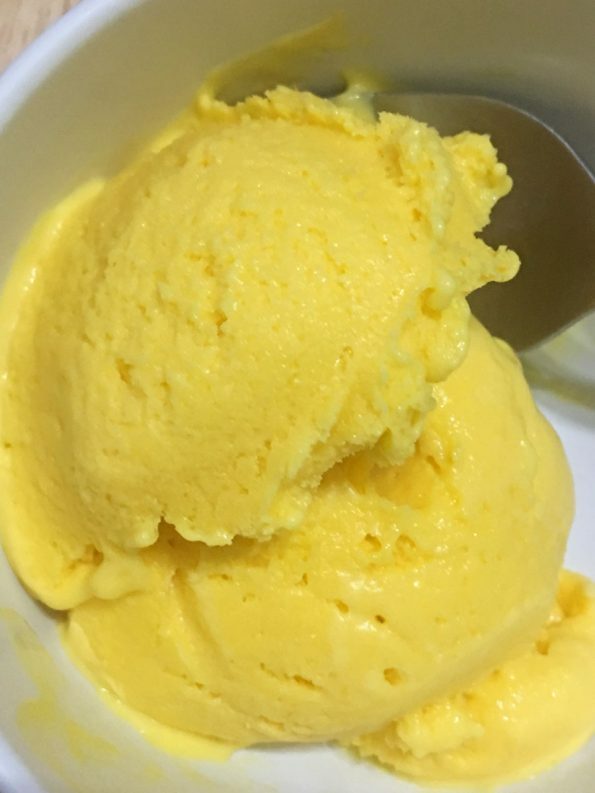 Best homemade mango ice cream recipe uses cream cheese, fresh mangoes and sweetened condensed milk to make this simple and delicious ice cream. 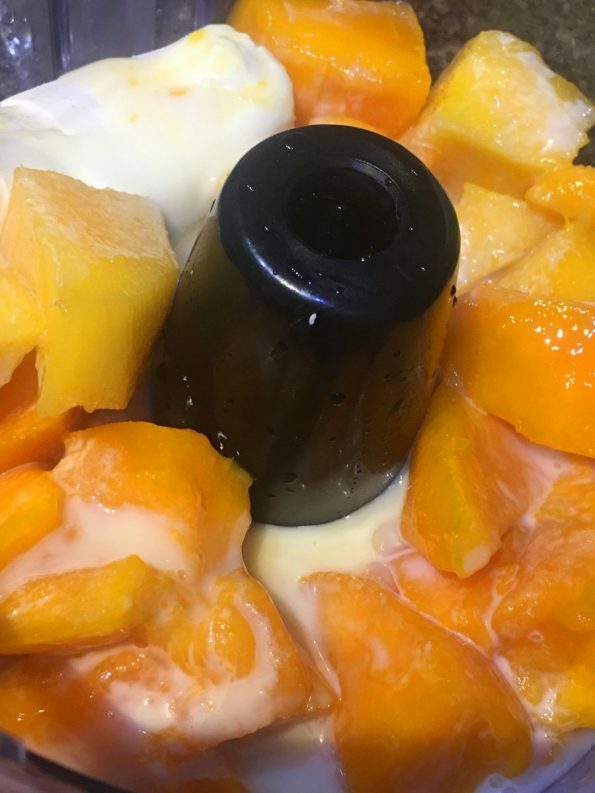 In a food processor, blend together the fresh mangoes, cream cheese and sweetened condensed milk until smooth. Add vanilla extract to the mixture, stir once and blend it again until very smooth. Transfer the mixture to a freezer safe container, and store in the freezer for about 30 minutes. 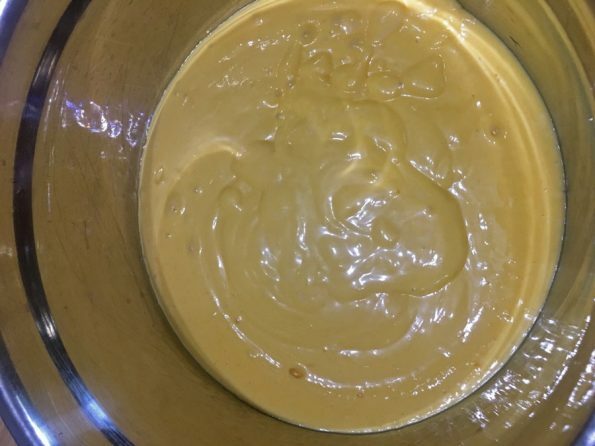 After 30 minutes, while the mixture is still soft, beat the mixture using an electric mixer in medium speed for about 2 to 3 minutes until the mixture is very creamy. Transfer the mixture back to the freezer, cover and freeze for another 6 hours or until the ice cream is set. If the ice cream is left in the freezer for too long, just transfer the ice cream to the refrigerator for about 5 to 10 minutes so you can easily scoop it out. 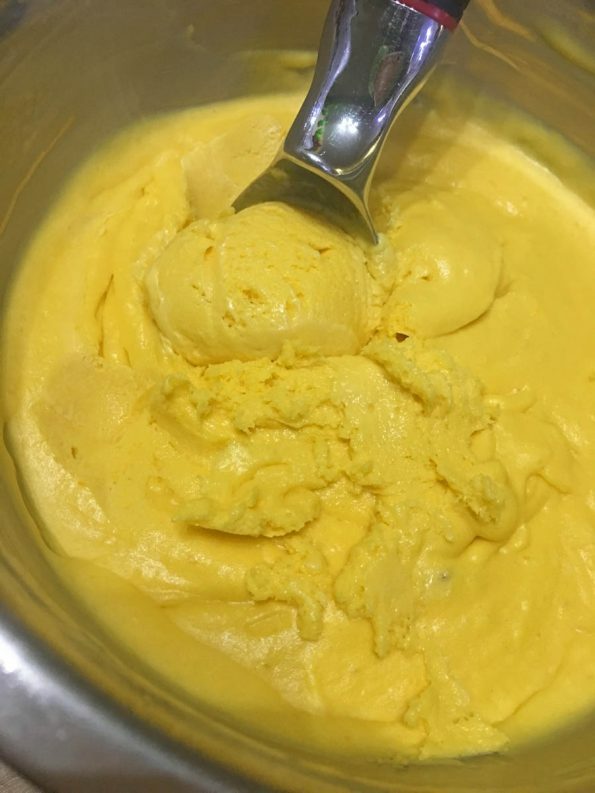 Enjoy the smooth, creamy and soft homemade fresh mango ice cream for a delicious dessert! 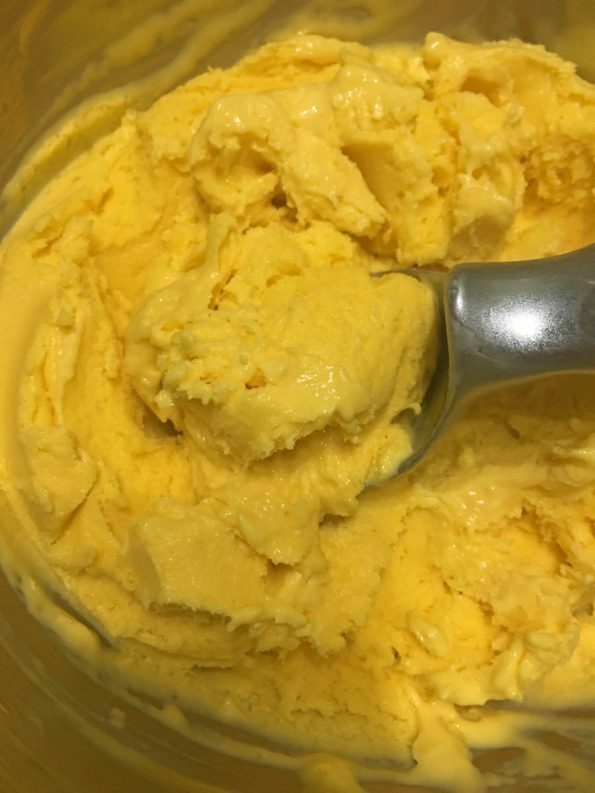 Hope you found this post on best homemade mango ice cream recipe without ice cream maker helpful in making easy and delicious mango ice cream at home.